1. 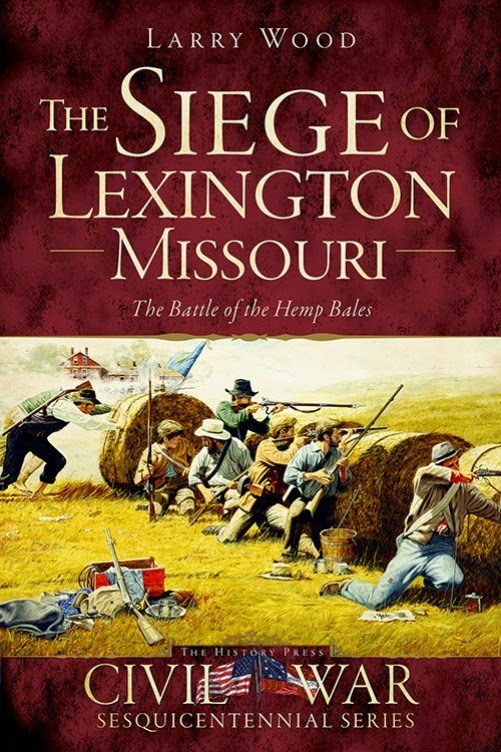 The Siege of Lexington, Missouri: The Battle of the Hemp Bales by Larry Wood (The Hist Pr, 2014). Wood's is the first book length history of the 1861 Lexington Campaign. My interview with the author can be found here. 2. Trading with the Enemy: The Covert Economy During the American Civil War by Philip Leigh (Westholme, 2014). This is an overview study of the domestic and international contraband trade during the war, from Norfolk to Matamoros. 3. The Presidents' War: Six American Presidents and the Civil War That Divided Them by Chris DeRose (Lyons Press, 2014). Five former US presidents -- Tyler, Pierce, Fillmore, Buchanan, and Van Buren -- were alive when Lincoln took office. All had a unique understanding of the burdens of refereeing sectional differences and none were unqualified supporters of Lincoln and his wartime policies. DeRose examines the Civil War activities of all five, detailing their interactions with Lincoln (both in assistance and in opposition) and the ways in which they sought to influence events. Schmiel: "CITIZEN-GENERAL: Jacob Dolson Cox and the Civil War Era"
Given Major General Jacob D. Cox's more than solid Civil War combat record and his deep influence on the historiography of the conflict through his many writings, it's surprising more hasn't been written about him. In his seven decades of life, Cox went in and out of a number of careers and avocations. In addition to being a fine soldier, he was a divinity student, lawyer, politician, cabinet secretary, amateur scientist, law school professor, university president, and historian. All of these phases of the Ohioan's life are covered in Eugene Schmiel's biography Citizen-General: Jacob Dolson Cox and the Civil War Era but the book wisely focuses on Cox's Civil War career, his historical writings, and his political offices, the first two exemplary in scope and accomplishment and the last perhaps a great lost opportunity. Cox and Schmiel find themselves in agreement that the general's best moments were during the battles of South Mountain and Franklin. However, one should not overlook Cox's 1861 Kanawha Campaign because of its small scale. In a largely independent role, his successful campaign, after the initial mishap at Scary Creek, was one of the ablest offensive operations conducted by any Union general during the first six months of the war. Schmiel's summaries of Cox's campaigns are solid overall, though one might wish for more detailed insight into Cox's style of generalship. Cox, a political general, was able to cultivate effective working relationships with high ranking professional army officers, an important trait absent in many high ranking officers drawn from civilian life, and earned their respect to the degree of their appointing Cox to critical positions of great authority (ex. co-leading the IX Corps during the Maryland Campaign and commanding the line at Franklin) and listening to his advice. With Schmiel accepting Cox's justifications and excuses for IX Corps's poor showing at Antietam, both subject and biographer seem equally dismayed as to why Cox was basically sidelined between Antietam and the Atlanta Campaign. They really shouldn't be. Regardless of whether Cox with good reason felt let down by McClellan for not keeping a key subordinate informed of the situation beyond the Army of the Potomac's far left or in denying IX Corps support from the army reserve, in an uncertain situation a corps commander is responsible for attending to his own flank protection. There's really no adequate excuse for getting surprised and rolled back by a vastly inferior force. Even if one considers Burnside (who was overseeing Cox on that day) more at fault, it was a bad moment to be in nominal command. Given that the state of Ohio was the cradle of presidents during the post-bellum period, why Cox was unable to use his own rank and achievements, which were superior to all but Grant's, to catapult himself into the highest office in the land is deserving of analysis. Schmiel persuasively attributes Cox's comparatively modest political ceiling (he was a one term governor and Grant's Secretary of the Interior) to several factors. While a Democrat-hating Republican (albeit of the more conservative wing), Cox consistently refused to toe the more radical national party line. Politicians possessing strong independent streaks, and who also fail to be publicly guarded in promoting unconventional opinions, frequently get into trouble with those party power brokers necessary for their advancement, and Cox's skepticism of black suffrage and support for internal colonization of ex-slaves damaged his political potential. As Interior Secretary, he was also a tireless opponent of the spoils system, instead advocating true civil service reform. He failed in the crusade after butting heads with party leaders and Grant himself and ultimately resigned. It is common for admiring biographers to present their subject as an island of selfless integrity amid an ocean of corruption and compromised principle, but in this instance exaggeration appears to be minimal, as Schmiel offers numerous comments from political friends and foes alike disdaining Cox's impractical idealism. Of course, Cox's own general officer appointment straight from civilian life was political patronage, a contradiction not commented upon by Schmiel and seemingly lost on Cox himself. Schmiel also thoroughly details Cox's lasting contributions, through a series of books, articles, and review essays, to Civil War military historiography and remembrance. 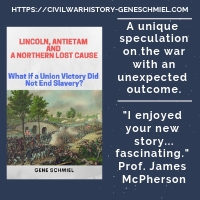 According to the author, the general's writings were better researched and less self serving (at least early on) than the typical memoirs and histories written by Civil War generals and politicians. In later works, Cox, realizing the hard learned truth that leaving the promotion of one's own achievements to others is a sure way to be relegated to historical oblivion, would directly address his personal role in the war. In publishing as with politics, Cox's outspoken desire to tell the uncompromised truth as he saw it led to the loss of previous friends and supporters like Emerson Opdyke and John Schofield. Schmiel notes the one exception in this regard being William T. Sherman, whose faults and mistakes were consistently glossed over by Cox. In general, Cox's extensive series of publications held their ground in the age's acrimonious "battle of the books." As his biographer maintains, Cox's writings are serious scholarship, their place in the footnotes and bibliographies of countless modern studies a testament to their lasting value. 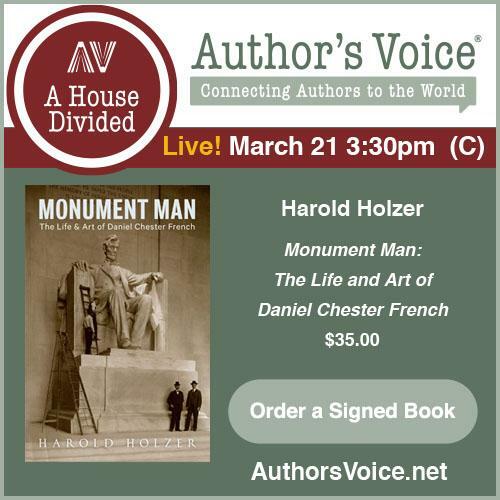 Citizen-General is an important biographical treatment of a man whose rather modest place in the popular imagination belies an enviable record of notable influences on 19th century America. 1. Gray Days in Morgantown: The Story of the Great Confederate Civil War Raid of April 27 and 28, 1863, Morgantown, Virginia (West Virginia) by Clay Cale, Jr. (Monongalia Hist Society, 2014). A full length treatment of the the Jones-Imboden Raid did not exist until 2007 with the publication of Darrell Collins's book. Little else has appeared before or since. Cale's short work is an interesting local history study of the raid's impact on Morgantown, (West) Virginia, when, on April 27, 1863 Confederate cavalry from Jones's command entered the town in search of supplies. It's both a narrative history and a collection of first-hand accounts. 2. Lincoln's Bishop: A President, A Priest, and the Fate of 300 Dakota Sioux Warriors by Gustav Niebuhr (HarperOne, 2014). A number of recent books have examined the 1862 Sioux Uprising in Minnesota and the Mankato hangings of the worst perpetrators. Niebuhr, a former religion journalist, centers his narrative on Episcopal bishop Henry Whipple and the clergyman's attempts to counter the popular outcry for revenge against the offenders. 3. The Admiral and the Ambassador: One Man's Obsessive Search for the Body of John Paul Jones by Scott Martelle (Chicago Review Pr, 2014). The Civil War connection lies with the ambassador of the title, Grant staff officer Horace Porter who was Ambassador to France at the turn of the century. The book documents Porter's lengthy and expensive search for naval hero John Paul Jones's body, which was originally encased in a lead lined coffin and buried in an unmarked French grave. Hitchcock, Watson (ed. 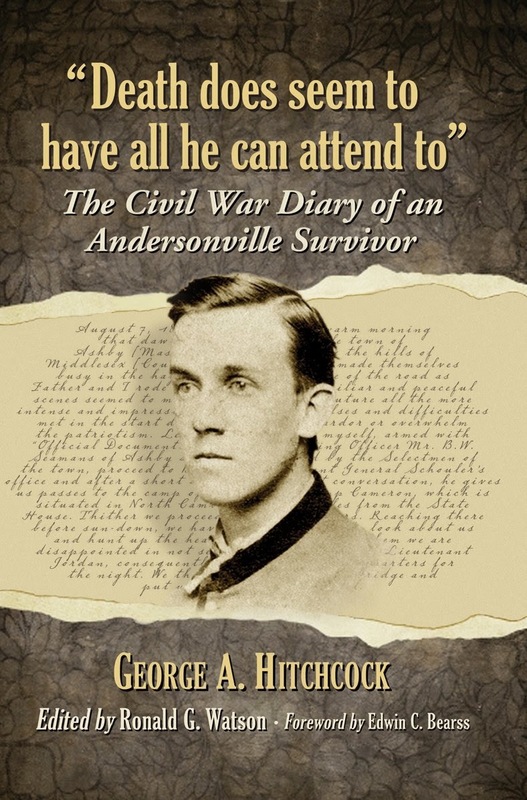 ): "DEATH DOES SEEM TO HAVE ALL HE CAN ATTEND TO: The Civil War Diary of an Andersonville Survivor"
The diary of 21st Massachusetts soldier George Hitchcock was first published in 1997 by Savas Publishing under the title From Ashby to Andersonville. The source for that edition was Hitchcock's 1890 revised and expanded manuscript. After its publication, editor Ronald Watson was surprised to receive from Hitchcock's g-g-granddaughter a copy of the original 1865 diary. Wishing to bring this unadulterated version to scholars and the reading public, Watson has now come out with a new edition with the title Death Does Seem to Have All He Can Attend To. At this point, Civil War bookshelves fairly burst with published soldier diaries, memoirs and letter collections with overlapping event coverage (and indeed the diary under consideration here is, in its early stages, fairly routine eastern theater stuff), but Hitchcock's recounting of the Maryland and Fredericksburg campaigns is more keenly observant and articulate than the typical documented experiences of men in the ranks. Where the diary really escapes the conventional run of things is in its day-by-day record of the 1863-64 East Tennessee Campaign with the IX Corps. After a brief stop in the Union-controlled area of Southeast Virginia, Hitchcock was sent to the Department of the Ohio, where, in East Kentucky, his regiment chased guerrillas and performed garrison duty. When Knoxville fell to Ambrose Burnside's small army, Hitchcock's unit traveled on foot through the mountains to join the occupying force. 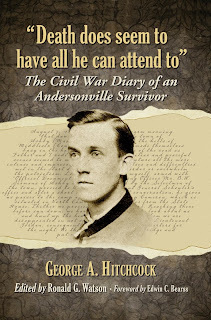 His chronology of the march and his accounts of the Knoxville siege and various follow up operations in NE Tennessee together comprise one of the best primary source descriptions of these events from a private soldier's perspective [it's the best I've encountered]. During the winter, Hitchcock returned to Kentucky, where he contracted a serious illness that required an extended hospital stay. Returning to the Army of the Potomac with the IX Corps in the spring, he was captured at Bethesda Church. Remarkably, Hitchcock was able to keep his daily diary going while imprisoned at Andersonville, Camp Lawton, and finally Florence, South Carolina, before finally being exchanged in December 1864. In addition to discussing the psychological and environmental hardships of the prison experience, Hitchcock also offers an interesting account of the activities, capture, and execution of the infamous Andersonville "Raiders", a malicious group that cruelly preyed upon their fellow Union soldiers in the overcrowded stockade. Though he contributes lengthy chapter introductions, Watson is a restrained editor overall. The text is not heavily footnoted. Instead, Watson more informally inserts brief clarifications, background material, and explanatory notes between diary entries. In the same manner, he includes in boxed italics the 1890 additions that Hitchcock made, allowing the reader access to both the original text as written and the revised/expanded material. Death Does Seem to Have All He Can Attend To is a very welcome reissue of an important Civil War diary, one especially useful for students and researchers of Civil War prisons and the understudied 1863-64 East Tennessee campaign. Author Q & A: Larry Wood on "The Siege of Lexington, Missouri"
The History Press just released Larry Wood's The Siege of Lexington, Missouri: The Battle of the Hemp Bales , which is the first book length history of the campaign. Wood has authored several books about the Civil War in Missouri and along the border region shared with Kansas: Civil War Springfield (2011), The Two Civil War Battles of Newtonia (2010) Other Noted Guerrillas of Civil War Missouri (2007) and The Civil War on the Lower Kansas-Missouri Border (2003 2nd ed.). DW: Larry, you’re the first person to attempt a book length history of the Lexington Campaign. Did you discover any unique challenges that you feel may have deterred others from tackling the project in the past? LW: I’m not sure this was a deterrent to past historians or authors, but the biggest challenge I faced was trying to sort out the sequence of events over the entire span of the siege, particularly on the last day. There are a lot of different accounts of the battle, many of them reminiscences, and a number of them seem contradictory on first reading as to what happened when. After a careful study, however, I realized they were not as contradictory as they first seemed. That is not to say that I’m sure the events of the battle happened in the exact sequence that I’ve laid out, but I think my reconstruction is close to the way things happened. DW: Where are some of the best places to find source material for Lexington? Does the park itself have an extensive manuscript collection? LW: I was fortunate in that I had something of a head start in my research for this book. Jim McGhee, a fellow author and researcher of the Civil War in Missouri, encouraged me to undertake the project, and he even supplied a fairly extensive bibliography of sources that he had already compiled. I, of course, added to that list of sources as I got deeper into the project. To answer your question more specifically, yes, the Battle of Lexington State Historic Site does have a fairly extensive manuscript collection, and the site also supplied several photographs for the book. Some of my other main places for source material on the Battle of Lexington were the State Historical Society of Missouri (including its branches at Rolla and Kansas City as well as the main branch at Columbia), the Missouri History Museum in St. Louis, the Hulston Library at Wilson’s Creek, the Missouri State Archives at Jefferson City, and both in-state and out-of-state newspapers, including especially the Chicago newspapers. DW: In your book, did you publish an order of battle for the Missouri State Guard at Lexington? If so, given the haphazard record keeping of the time, how satisfied are you that the list is complete? LW: No, I did not publish an order of battle for the MSG at Lexington. Had I done so, I think it would have been relatively incomplete, which is probably partly why I did not attempt it. Although the Missouri State Guard had already seen action at Carthage and Wilson’s Creek, it was still not fully organized at Lexington. There were literally thousands of men at Lexington on the side of the Missouri State Guard who either were civilians and, therefore, not part of General Price’s army or who were poorly armed and equipped raw recruits. So, there were many incomplete or partially organized units among the MSG. In addition, some of those that were virtually complete arrived late or otherwise took very little part in the battle. Also, as you say, the record keeping was haphazard even among those units that did directly participate, or else such records have been lost. DW: Michael Gillespie mentioned that the park has a special file for collecting the names of all individuals known to have fought during the siege. What is the current estimate of the MSG’s strength during the height of the campaign? LW: I’m not sure what the estimate is based on the file kept at the park, but based on all of my reading of the various after-action reports, newspaper accounts, and reminiscences, I would say that the number who actually took any part in the fighting was probably ten to twelve thousand. This figure rises to perhaps as many as twenty thousand, if you count all the civilians and raw recruits. Some of the more extravagant Union estimates placed the number in Price’s army at close to forty thousand, while some of the ex-State Guardsmen said after the war that only four or five thousand took an active role in the battle. The truth, as usual, probably lies somewhere in between. DW: It could be argued that Lexington was the pinnacle of the Missouri State Guard’s Civil War service. Would you agree with that assessment? LW: Yes, I definitely think it was the pinnacle of the Missouri State Guard. In early July 1861, when it was still a highly unorganized force, the State Guard had won a minor victory at Carthage because of its overwhelming advantage in numbers over Colonel Sigel, and in August, Price had teamed with Confederate forces under General McCulloch and Arkansas state troops under N. Bart Pearce to defeat Lyon at Wilson’s Creek. The victory at Lexington, however, represented the Missouri State Guard’s first (and only) significant success fighting on its own as a relatively organized army. DW: On the Union side, John C. Fremont has been heavily criticized for neglecting his forces in western Missouri—first Lyon then Mulligan—during 1861. Historian Jeff Patrick recently put forth a fairly strong case for revisiting Fremont’s role in the Wilson’s Creek battle. What is your view on Fremont’s level of responsibility for the Lexington debacle? LW: I am not familiar with Jeff Patrick’s work on Fremont’s role in the Wilson’s Creek battle, but generally speaking I do feel that Fremont was made something of a scapegoat. In both the case of Wilson’s Creek and Lexington, he was concerned about overextending his forces into western Missouri and leaving the Mississippi River and the eastern part of the state unprotected. Also, at least in the case of Lexington, he did make several attempts to relieve Mulligan, but his subordinates’ efforts to carry out his orders proved halfhearted. There is probably some truth, however, to the contention that Fremont’s own efforts were halfhearted. As the New York Times said at the time, when a commander in the field has to resort to making excuses, his cause is already lost. DW: Lexington is best known for the MSG’s clever use of hemp bales as makeshift breastworks. Are there any popular misconceptions about this aspect of the battle that you feel should be cleared up? LW: Yes, at least I was laboring under a misconception prior to starting my research on this book. I had always imagined the hemp bales being rolled straight up the hills with the Missouri State Guard soldiers directly behind them, but that’s not exactly how it happened. In fact, the hills were too steep to roll the heavy bales (approximate 400 pounds, plus the extra weight gained by wetting them to prevent hot shot from catching them on fire) directly up the hills. Instead, they were rolled on an angle in a zigzag pattern back and forth up the hill with the ends of the bales, not the fronts of the bales, facing the Union position most of the time. DW: Impressive as it was, Lexington was ultimately a hollow victory for pro-Confederate forces in Missouri. The Guard had to withdraw in the face of renewed pressure from Fremont’s relief army and the masses of new recruits melted away from lack of arms and equipment. Do you believe than anything was gained by Price’s victory, or was it ultimately counterproductive in that it proved that the Confederacy and its Missouri allies could not support an army in the state’s interior (thus discouraging popular support and potential recruits)? LW: Yes, I think the outcome at Lexington was a hollow victory for pro-Confederate forces in Missouri, but I’m not sure I would call it counterproductive. Nothing lasting was gained, but I’m not sure the outcome contributed to a lack of popular support and potential recruits, at least not in the short term. I think what happened after Lexington (i.e. Price’s being driven out of the state and the defeat at Pea Ridge) had more to do with eroding Southern support for the war in Missouri than the Lexington campaign did. DW: Anything you’d like to add? LW: Only that this was an interesting book to research and write, and I hope that those who read it find that I’ve done the subject justice. DW: Thank you, Larry, both for grappling with a difficult and much neglected subject and for participating in this interview. Again, readers can order the book online at The Siege of Lexington, Missouri: The Battle of the Hemp Bales or visit the publisher's website directly [The History Press]. LW: Thank you, Drew, for inviting me to participate in the interview. When it comes to Kentucky's southern sympathizers, the Bluegrass region seems to get the lion's share of attention, but the Jackson Purchase of western Kentucky was one of the state's most pro-Confederate areas. As sometimes happens, previously neglected subjects suddenly find multiple treatments published only months apart. Though Craig Berry's Kentucky Confederates: Secession, Civil War, and the Jackson Purchase (University Press of Kentucky, Fall 2014) promotes itself as the "first dedicated study of this key region", it was actually preempted earlier this year by Dan Lee's The Civil War in the Jackson Purchase, 1861-1862: The Pro-Confederate Struggle and Defeat in Southwest Kentucky. Lee's book was a decent popular history but Berry's more scholarly approach is probably more likely to stand the test of time in terms of being regarded as the standard work on the subject. 1. 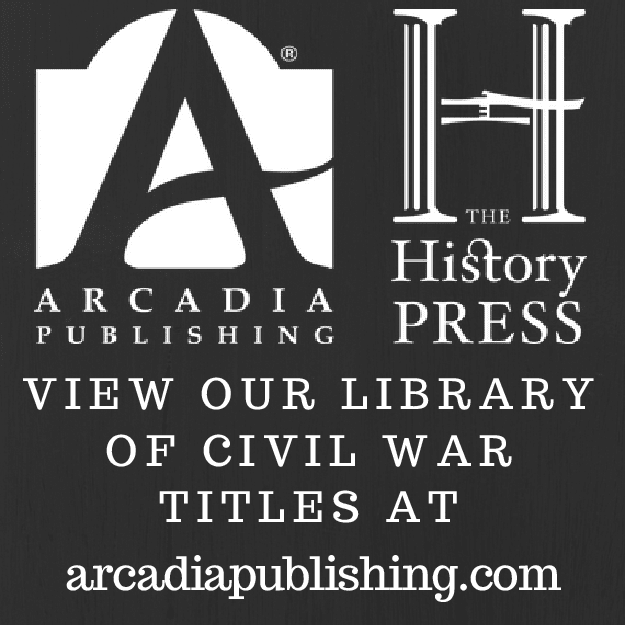 Guerrilla Warfare in Civil War Missouri, Volume IV, September 1864 - June 1865 by Bruce Nichols (McFarland, 2014). The final volume of Nichols's essential reference series, this book begins with the irregular activities coinciding with the Price Raid and ends with the war's conclusion. 2. So You Think You Know Gettysburg? Volume 2 by James and Suzanne Gindlesperger (Blair Pub Co, 2014). The Gindlespergers's first Gettysburg travelogue So You Think You Know Gettysburg? The Stories behind the Monuments and the Men Who Fought One of America's Most Epic Battles covered 200 related sites in historical narrative, pictures and maps. Volume 2 looks at another 200+ sites. They also have an Antietam book. Wetherington & Levine, eds. 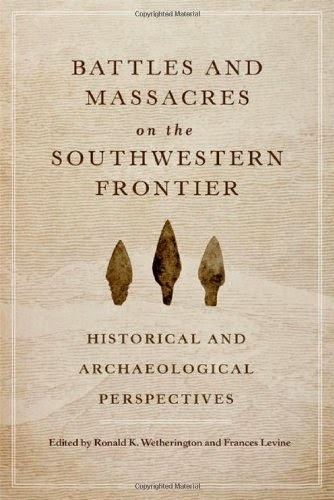 : "BATTLES AND MASSACRES ON THE SOUTHWESTERN FRONTIER: Historical and Archaeological Perspectives"
Battles and Massacres on the Southwestern Frontier is an offshoot of a 2008 conference at Taos, New Mexico's Fort Burgwin Research Center overseen by Ronald Wetherington and Frances Levine. Edited by Wetherington and Levine, who also introduce each section, the book explores four conflicts (the battles of Cieneguilla and Adobe Walls plus the massacres of Sand Creek and Mountain Meadows) via the pairing together of a traditional historical essay with an archaeological report summary. In general terms, the editors define a battle as fought "between armed forces--usually military--with a cursory understanding that the killing field is equally engaged, or thought to be. Massacres, on the other hand, involved one-sided events in which the dead are mostly innocent victims who are suddenly thrust onto the killing field involuntarily." (pg. 1). The March 30, 1854 Battle of Cienguilla was an obscure clash between U.S. dragoons commanded by Lieutenant John W. Davidson and Jicarilla Apaches. According to Will Gorenfeld's essay, the official army history of the battle is grossly inaccurate, glossing over Davidson's failed leadership and grossly inflating Apache numbers. David Johnson's archaeological record, based on an extensive interagency study of artifacts found over a wide area and their distribution patterns, supports Gorenfeld's revisionist history. The archaeology both confirmed the site location and helped reconstruct the tactical movements of both sides, the picture created from the latter being one of poorly deployed dragoons armed with short range weapons suffering heavy casualties at the hands of Apaches situated on high ground and fighting behind cover. The section is a good illustration of the role archaeology can play in arbitrating competing document-based theories of historical events. For Adobe Walls1, T. Lindsay Baker's source material discussion and J. Brett Cruse's archaeological findings are mutually supportive of the traditional interpretation of the June 27, 1874 battle between 28 buffalo hunters and hundreds of allied Southern Plains Indians led by Comanche Chief Quanah Parker. Eyewitness accounts from Indian attackers and the defending hunters are both broadly in accord with the physical evidence. Weapons and weapons-related artifact analysis support the consensus story that the long range firepower of the professional hide hunters demoralized and defeated Parker. The discovery of an almost incredible variety of weapons used by the combatants is a common thread throughout the investigations documented in the book. The section dealing with the November 29, 1864 surprise attack by Colonel John Chivington's Colorado volunteers on the Cheyenne and Arapaho camps at Sand Creek pairs Ari Kelman's historiographical survey tracing the debate over whether Sand Creek was a battle or a massacre with Douglas Scott's artifact pattern analysis. Scott's team located areas where fighting chiefly occurred by mapping concentrations of firearms artifacts. Conversely, the Cheyenne and Arapaho camp grounds, which contained relatively little in the way of non-military firearms related relics, were identified by domestic item artifact patterns (tribal ownership confirmed using annuity lists and correspondence). In addition to conclusively locating the Sand Creek encampment site, Scott believes the historical accounts, combined with the dearth of physical evidence of tribal return fire compared with the abundant collection of firearm artifacts from the volunteers at both the village and the defensive pits to the north, strongly supports the widely accepted 'surprise attack and massacre' thesis2. The Mountain Meadows Massacre (September 11, 1857) section is less satisfying than the others in that the archaeological investigation was aborted after limited examination of skeletal remains. However, LDS historian Glenn Leonard's assessment of the degrees of culpability that should be laid at the feet of church leaders, Paiute Indian participants, and elements of the emigrant trains themselves is thought provoking, if still murky. Hopefully, most readers will recognize that the wide range of agreement between documentary and archaeological findings presented in Battles and Massacres on the Southwestern Frontier is not necessarily typical (according to Wetherington and Levine this was entirely coincidental). Even so, the book comprises yet another strong argument for a multidisciplinary approach to historical investigation, one involving among others the fields of history, archaeology, and anthropology. 1 - As many readers know, there were two battles at Adobe Walls. The publisher's description (see press materials and back cover) is in error, stating that the 1864 Battle of Adobe Walls is the one discussed in Battles and Massacres on the Southwestern Frontier. It is indeed only the 1874 clash that is considered in the book. 2 - A related question surrounds the rather significant casualties (10 killed and 38 wounded) suffered by Chivington's men. While it is an unaddressed counterpoint to the theory of minimal tribal resistance, it doesn't necessarily critically impact the 'battle vs. massacre' debate. 1. Ford's Theatre by Brian Anderson (Arcadia Pub, 2014). Part of Arcadia's Images of America series, Anderson's photograph and caption study of Ford's Theater traces the building's history from Baptist Church to theater (and Lincoln assassination site, of course) to commercial building and museum. 2. Emancipation, the Union Army, and the Reelection of Abraham Lincoln by Jonathan W. White (LSU Pr, 2014). White's belief that too many scholars fail to delve deep enough into the mechanics and meaning of the soldier vote in the 1864 presidential election (78% for Lincoln) jives more than a little with my own reading. He argues that, in viewing the election result as representative of resounding approval by those in the ranks of Republican military and social war aims, historians have "ignored mitigating factors such as voter turnout, intimidation at the polls, and how soldiers voted in nonpresidential elections in 1864." I'm about halfway through the book already and from what I've read so far I highly recommend it. 3. Hurricane from the Heavens: The Battle of Cold Harbor, May 26 - June 5, 1864 by Daniel Davis and Phillip Greenwalt (Savas Beatie, 2014). Latest from the Emerging Civil War series. Not only have they just published the 2nd volume of classic Bearss essays, but they have four new revised reprint editions in the pipeline. At the top of the list is a 150th Anniversary edition of Richard Sommers's classic Richmond Redeemed: The Siege at Petersburg, The Battles of Chaffin's Bluff and Poplar Spring Church, September 29 - October 2, 1864 . Given its apparent lack of collectible value, I'll gladly discard the musty, yellowing pages of the old for the bright shiny new Sesquicentennial edition. That's not blasphemy, that's space limits. * The First Battle for Petersburg: The Attack and Defense of the Cockade City, June 9, 1864 by William Glenn Robertson. * The Siege of Petersburg: The Battles for the Weldon Railroad, August 1864 by John Horn. * The Last Citadel: Petersburg, June 1864 - April 1865 by Noah Andre Trudeau. The Robertson and Horn books had earlier lives as H.E. Howard series books and Trudeau's study used to be (and maybe still is) what was recommended for those wanting to read a single volume summary of the campaign. It's going to be a good year for Brett's bookshelf. Bearss, Suderow (ed. ): "THE PETERSBURG CAMPAIGN, VOL. 2: The Western Front Battles, September 1864 - April 1865"
As part of Mission 66, the National Park Service's ten-year infrastructure development plan of the period, Ed Bearss was tasked with mapping and documenting the various Petersburg Campaign battles. After decades of obscurity, these Bearss essays were rediscovered by Bryce Suderow, who then spearheaded the effort to get them published. Two volumes were decided upon, the first The Petersburg Campaign, Vol. 1: The Eastern Front Battles, June - August 1864 was released in 2012, and now 2014's The Petersburg Campaign, Vol. 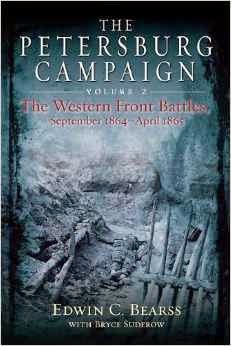 2: The Western Front Battles, September 1864 - April 1865 completes the set. Calling the manuscripts essays is selling them a bit short. They're really closer to book length tactical-scale histories of Peebles's Farm, Burgess Mill, Hatcher's Run, Five Forks [in three parts: (1) Lewis Farm (2) Dinwiddie Court House & White Oak Road (3) the Five Forks battle itself], and the VI Corps "Final Breakthrough". Detailed and straightforward, the text is classic Bearss that anyone familiar with his numerous battle books and articles will recognize. The bibliography is limited to primarily the Official Records and a smattering of other published sources, but readers should realize that these histories were written over 50 years ago as internal park service documents with the very specific purpose of supporting the 60 troop movement maps Bearss developed, and were probably never conceived as subjects for eventual publication. Suderow's editorial hand is displayed throughout. In addition to standardizing the notes, he also created an introduction and postscript to each chapter. These transitions are important background elements of the book, as they successfully bridge essentially independent manuscripts not intended to be read as a continuous narrative. They inform the reader of what was going on at the same time in the eastern theater both near and far (e.x. the Richmond and the Shenandoah sub-theaters), and also consistently remind the reader of the two-front strategy employed by Grant for nearly every major offensive effort, one that was characterized by a complex operational dance performed at each end of the Richmond-Petersburg axis with the purpose of creating windows of opportunity where local superiority could be exploited to either outflank or smash through Confederate defenses. Suderow also commissioned essays to fill gaps in Bearss's writings [William Wyrick for Ft. Stedman and Chris Calkins for the retreat to Appomattox]. Wyrick's contribution is a fine piece based on his previous work for Blue & Gray magazine and Calkins's brief chapter comprises a fitting epilogue to the book. The volume's maps by George Skoch are original creations, satisfactory in both numbers and informational depth. Sure, one can probably take the source material uncovered during the past 50+ years and quibble with some of Bearss's content and interpretation, but, even so, these two volumes together comprise the best and most detailed military summary of the Petersburg Campaign yet produced. "Contrary to previous histories, Smith tells us, the battle was not won or lost on the first day, but rather in the decision-making of the night that followed and in the next day's fighting. Devoting unprecedented attention to the details of that second day, his book shows how the Union's triumph was far less assured, and much harder to achieve, than has been acknowledged. Smith also employs a new organization strategy to clarify the action. By breaking his analysis of both days' fighting into separate phases and sectors, he makes it much easier to grasp what was happening in each combat zone, why it unfolded as it did, and how it related to the broader tactical and operational context of the entire battle. The battlefield's diverse and challenging terrain also comes in for new scrutiny. Through detailed attention to the terrain's major features--most still visible at the Shiloh National Military Park--Smith is able to track their specific and considerable influence on the actions, and their consequences, over those forty-eight hours." 1. 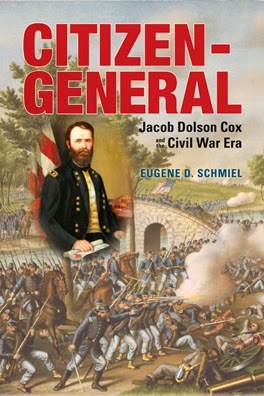 Citizen-General: Jacob Dolson Cox and the Civil War Era by Eugene D. Schmiel (Ohio UP, 2014). Respected general, politician, historian and much more, Jacob Cox had a hell of a public career and it's great to finally see a critical biography that purportedly does justice to all avenues of the Ohioan's almost mythic American life. 2. Wilderness and Spotsylvania 1864: Grant versus Lee in the East by Andy Nunez (Osprey, 2014). This has the classic Osprey artwork and map style, but it looks like a new release from the Campaign series and not a reprint. Blood on the Bayou may sound like a straight to DVD backwoods horror title, but it's actually the third volume in Donald Frazier's excellent "Louisiana Quadrille" series. I've been wondering when some rough idea of its release date would emerge and finally found notice of it on a Fort Worth CWRT press release. In my mind, the quality of the first two, Fire in the Cane Field (2009) and Thunder Across the Swamp (2011) make the final pair highly anticipated. Wills: "THE RIVER WAS DYED WITH BLOOD: Nathan Bedford Forrest & Fort Pillow"
The April 12, 1864 Battle of Fort Pillow has always provoked polar reactions. According to contemporary Union adherents and later Nathan Bedford Forrest critics, Confederate troops committed a foul, premeditated massacre during the capture of the hilltop fortification. On the other side of the coin, Confederates insisted then, and Forrest admirers today continue to claim, that nothing dishonorable occurred on that day. Aligned with neither of these viewpoints, Brian Steel Wills's The River Was Dyed with Blood: Nathan Bedford Forrest & Fort Pillow seeks a dispassionate understanding of what happened on that day and how it became an iconic moment in Civil War infamy. Wills is convinced that Forrest did not order, and had no intention of committing, a no-quarter assault on the Union defenders. Throughout military history, when expected heavy resistance crumbles quickly, and confusion reigns with some enemy troops attempting to surrender while others continue fighting, excesses become commonplace. The nearby naval contingent also created uncertainty in the minds of the attackers as to whether the garrison would be reinforced and the fight continued or an evacuation would be attempted. Add in ideological motivations, with Confederate soldiers being opposed by armed ex-slaves and white Unionists accused of both real and imagined abuses of pro-Confederate civilians, and it all becomes a recipe for disaster. According to the author's interpretation, Forrest was not in the forefront of the attack and lost control of his men. Of course, critics of the general can be skeptical that Forrest's unusual physical absence in the beginning and the avowed spontaneous nature of the unsanctioned killing were not deliberate attempts to avoid responsibility, but Wills is clear in his assertion that Forrest must bear ultimate responsibility for what happened. In the book, Wills offers a number of examples from military history that build a broader contextual basis for what happened at Fort Pillow. Perhaps the most analagous situation occurred in April 1864 at Plymouth, North Carolina, where a fort garrison initially refused to surrender, necessitating a costly assault during which elements of USCT regiments and white Unionist "Buffaloes" were shot while attempting to flee into nearby swamps. Other examples from the Texas War of Independence, the Revolutionary War, the Indian Wars, the Philippine Insurrection, and WWII are less directly comparable but they illustrate how wartime killings represent a complex mixture of historical, cultural, and political circumstances and motivations, and reducing them to emotionally charged words like "massacre" often unproductively serve to end rather than facilitate serious debate and discussion. Some of the best sections of the book are those covering the long term consequences of Fort Pillow and how the tragedy was used for political gain. Wills traces the effective use by the Republican Party of Forrest and Fort Pillow during both the 1864 and 1868 national elections. A particularly evocative partisan political weapon was the pen of artist Thomas Nast. A number of his cartoons are reproduced in the book, the one perhaps best demonstrating the enduring cost of Fort Pillow to Democratic high office aspirations being a sweeping cartoon pitting a large group of heroic Republicans on one side and a dastardly set of Democratic villains on the other, with Forrest prominently placed even though he was only a minor player at the party convention. Wills effectively shows how the memory of Fort Pillow remained in the political consciousness for decades after the war. The conduct and findings of the Wade and Gooch sub-committee appointed by the Joint Committee on the Conduct of the War to investigate Fort Pillow remains a contentious issue. Wills is correct that the process was no paragon of credible truth seeking, but it wasn't exactly pure political theater and propaganda either. The author is of the opinion that the sheer volume of evidence presented, however slanted and unchallenged, makes it clear that significant numbers of unnecessary killings had indeed occurred. Even so, it's curious that the more extreme committee allegations (ex. the killing of non-combatants and the use of civilians as human shields) were neither seriously addressed nor their validity analyzed in the book. The truce flag controversy is covered, but the issue of non-combatant deaths is noted only in passing and the human shield accusation is not mentioned anywhere in the narrative. For a book about a moment in history as controversial as Fort Pillow, it's reconstruction of the battle itself and the immediate aftermath is surprisingly brief and lacking in comprehensive detail. Along similar lines, the maps, all previously published, are not particularly helpful in following the sequence of events and their timing. While the author challenges many of the views published by other writers and historians (most notably those of Richard Fuchs), a chapter length critique of the Fort Pillow historiography, one more systematically contrasting Wills's own research and findings with those of Fuchs, Ward, Cimprich and others, would have been a very fruitful addition. On a minor and purely presentational matter, the printing choice of employing no spacing around punctuation marks was a bit distracting. The River Was Dyed with Blood is too thin in places to be regarded as a work aspiring toward definitive status on the subject of Fort Pillow but it does exhibit a number of atypical contextual interpretations worthy of notice and well reasoned arguments not present in previous studies, which have tended to focus almost solely on racial considerations. Its dispassionate tone is also a welcome departure from the norm. 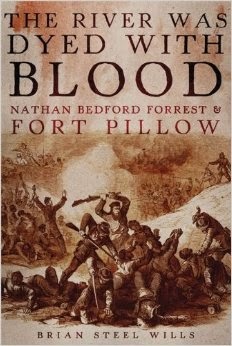 As a Forrest biographer, author Brian Steel Wills's own objectivity will likely be called into question by some readers, but the unique strengths of this Fort Pillow study should be robust enough to conquer most fears. Recalling Deeds Immortal: Florida Monuments to the Civil War by William B. Lees and Frederick P. Gaske. Confederate Odyssey: The George W. Wray Jr. Civil War Collection at the Atlanta History Center by Gordon L. Jones. The Blue, the Gray, and the Green: Toward an Environmental History of the Civil War edited by Brian Allen Drake. Work for Giants: The Campaign and Battle of Tupelo/Harrisburg, Mississippi, June–July 1864 by Thomas E. Parson. Kentucky Confederates: Secession, Civil War, and the Jackson Purchase by Berry Craig. The Mississippi Secession Convention: Delegates and Deliberations in Politics and War, 1861-1865 by Timothy B. Smith. The Port Royal Experiment: A Case Study in Development by Kevin Dougherty. Through the Heart of Dixie: Sherman’s March and American Memory by Anne Sarah Rubin. The Ordeal of the Reunion: A New History of Reconstruction by Mark W. Summers. Belligerent Muse: Five Northern Writers and How They Shaped Our: Understanding of the Civil War by Stephen Cushman. A Gunner in Lee’s Army: The Civil War Letters of Thomas Henry Carter edited by Grahan T. Dozier. Surveillance and Spies in the Civil War: Exposing Confederate Conspiracies in America’s Heartland by Stephen E. Towne. Soldiers in the Army of Freedom: The 1st Kansas Colored, the Civil War's First African American Combat Unit by Ian M. Spurgeon. The Early Morning of War: Bull Run, 1861 by Edward G. Longacre. Lincoln and the Military by John F. Marszalek. Lincoln and the War's End by John Waugh. Lincoln's Assassination by Edward Steers. 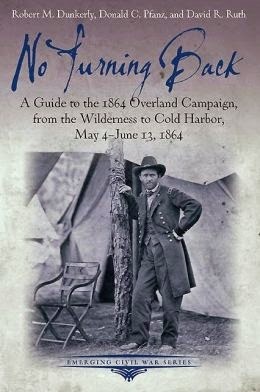 Dunkerly, Pfanz & Ruth: "NO TURNING BACK: A Guide to the 1864 Overland Campaign, from the Wilderness to Cold Harbor, May 4 - June 13, 1864"
No Turning Back is the latest battlefield touring guide from publisher Savas Beatie's Emerging Civil War series. With respected historian Donald Pfanz spending much of his career at Fredericksburg & Spotsylvania NMP and Dunkerly and Ruth employed at Richmond NBP as park ranger and superintendent respectively, the authors can certainly write with authority on their subjects. At 120 road miles, and divided into four slightly overlapping sectors -- Wilderness (13 stops), Spotsylvania (31), North Anna River (27), and Cold Harbor (15) -- the tour is a long one, covering in dozens of stops the entire Overland Campaign from the initial clashes south of the Rapidan to the crossing of the James River. The authors suggest at least 1-2 days to complete the experience. Directions to each site (and optional side trip) are detailed, with GPS coordinates and distances marked in mile tenths. Visitors are taken to a variety of places, from battlefield vistas to river crossings and antebellum churches and homes. The text accompanying each stop is informative, both for background as well as Civil War history. Every stop includes quotes and anecdotes from participants, their words describing the landscape, battle experiences, and notable personalities involved. Even if the reader is not visiting the battlefields, the narrative is comprehensive enough and flows together well enough to provide a good general history of the Overland Campaign. As with all volumes in the series, maps and illustrations are a priority. No Turning Back is filled with judiciously selected contemporary photographs and drawings, as well as modern images. The maps are quite good, depicting both troop movements at an appropriate scale and important natural and man-made terrain features. My only complaint with the battlefield maps is they're not specifically tied to the tour stops, leaving the reader (who may or may not be experienced) to relate them to the text. There is a set of designated tour maps at the beginning of the book, but it would have been helpful if the numbered stops had also been placed on the tactical and operational scale maps, where appropriate. An index might have proved useful, too. No Turning Back does not contain the same degree of tactical detail and command analysis found in the U.S. Army War College or This Hallowed Ground series of guides, nor is it designed to be. Instead, it is a great option for a tour of low to moderate intensity. The text's popular format will appeal to a broader range of visitors than the more specialized target audience of the guide series mentioned above, but there's little reason for seasoned readers to regard it as guide-lite either.